Aventura Hand Center (Aventura) - Book Appointment Online! 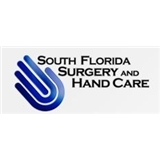 Welcome to South Florida Surgery and Hand Care (SFSHC). It is our mission to create an environment that makes all of our patients and families feel comfortable and informed about their illness, injury or condition. We take pride in treating our patients, not just the diagnosis. At SFSHC we care for many hand conditions from arthritis and carpal tunnel syndrome to tendon injuries and fractures of the hand and wrist. Awesome! Caring. Takes his time to listen and discuss your concerns.